Here at DutchCrafters, we believe in the value of quality craftsmanship and authenticity with the customer. Our company is founded on these Mennonite and Amish values; just as the fashion of Eugene Alexander continues to hold its value decades after creation, our furniture is built with a longevity that makes it a family heirloom. Eugene Alexander: The Fashion of Eugene Stutzman is a 15-minute documentary that was an Official Selection to both the Sunscreen Film Festival and Love Your Shorts Film Festival in 2018. It now makes its web debut. 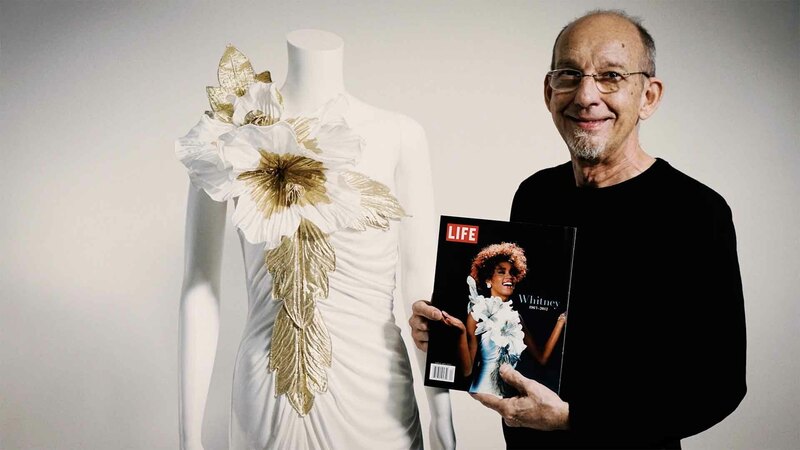 The film reveals the lasting impact of the couture dresses created by the fashion design team of Eugene Stutzman and Alexander Wallace in the 1980s and 1990s. Framed by a fashion show fundraiser for The Goshen Theater in Goshen, Ind. on September 23, 2017, the film explores Mennonite fashion designer Eugene Stutzman’s experiences dressing Hollywood customers, his dressmaking inventions used in his factory in Sarasota, Fla., his endeavors after leaving the fashion industry, and how his dresses have a second life through the Eugene Alexander Hope Foundation. Stutzman stepped beyond the constraints of Mennonite and Amish convention while also drawing upon that tradition for both his style aesthetic and manufacturing choices. Jim Miller at DutchCrafters Amish Furniture saw the connection between Stutzman’s choices and the DutchCrafters brand and made it possible for Stutzman’s story to be told.